OK, so you’re starting singing from scratch and you haven’t been singing your heart out since Third grade. No problemo! Today, I’ve highlighted the steps of the singing process to help you start singing. When you think about Singing and how it is done, there are 4 major steps that need to be considered. As everything we do and all physical gesture, singing starts in our head. Then your body “sends” air so you can produce a sound. After that you shape the sound (to speak or to sing). Finally, it all goes out traveling through the air until it hits somebody’s ears or an object. It is what I call the SOUND LIFE CYCLE! Singing starts in our brain. First, we decide we want to sing and what we want to sing. We also choose how we want to sing (quietly, loudly…). After a while, you’ll decide to sing in a certain way (jazzy, with r’n’b riffs or runs, etc.). To do that, to improve your singing and to give it your own flavor, you gotta FUEL YOUR BRAIN so you develop a great musicality! Listen to different artists in the music style(s) you like but do not listen to only 1 artist. If you only listen to 1 artist, you’ll end up mimicking and, except if you wanna start an impersonator career, that’s not what you want. You wanna sound like yourself! It starts by LISTENING and ONLY listening. Pick a song, stop doing anything else and close your eyes. Listen to it several times. The sounds we make are produced in our music box (in your throat, behind Adam’s apple) but they would not exist without our breathing. It is the air you exhale (plus the decision to speak or to sing) that make our vocal folds vibrate. The thing is we know how to breath, it is natural, we don’t even think about it. But if you really want to learn the right way, the good gesture to sing more than average, you need to learn how to breath the “singing way”! You’ll achieve the “singing way” by developing a strong support with your abs and not letting your chest and stomach collapse. That’s how to start singing. The more you’ll sing, the more you’ll improve. You’ll improve your musicality, your ear but also your vocal folds are going to be stronger. You can compare that to a sport. If you exercise well, you develop good muscles. How to Start Singing is to start right now! A sound needs to be shaped to form different vowels and to form words. Physically, you shape the sound with your larynx, your throat, your tongue, your palate, your jaw, your lips… And mentally choosing where you want it to resonate and how you project it (softly, with intensity etc.). How to start singing is also about looking for help. To start taking good singing habits and especially if you don’t have an amazing natural born talent (a few of us do), develop your skills with some help. Whatever solution you choose, make sure to select a coach you understand, a coach with experience. 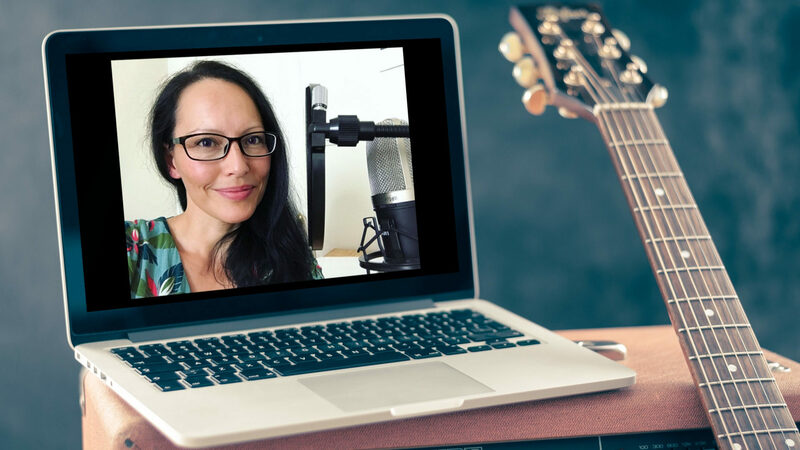 The vocal coach, whether it is a 1 to 1 lesson or an online course, must be able to sing and demonstrate you the right and the wrong way to do something. Wanna start to sing? OK, let’s do it! sing again improving your tone, your articulation, your flow etc. let me know how it went in the comments! Depending on your budget, you can also look for a vocal coach in your area, look for online singing lessons, look for singing ecourses with vocal coaching included but please do not buy any of the singing methods out there if you haven’t taken just 1 singing lesson, you could really harm yourself or take bad singing habits.